This Zimlet alerts you when your forget to attach the attachment when sending an email message. 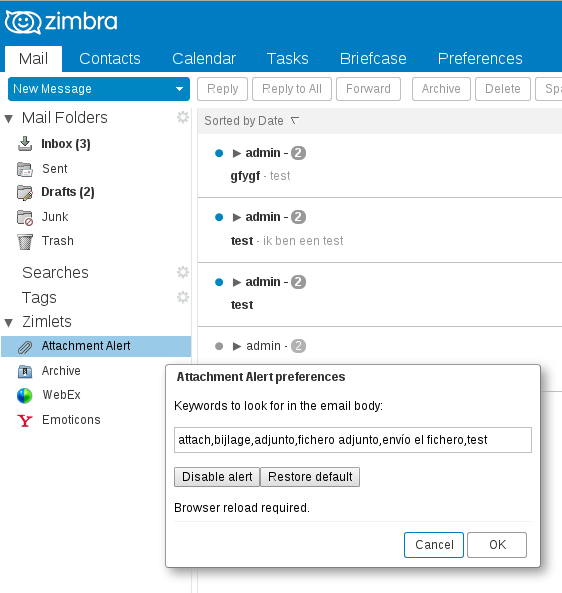 The Zimlet will search for keywords in your message (for example, "attach" or "attachment"). And if the keywords exist in your outgoing message, the Zimlet will confirm that at least one attachment exists before sending. If no attachments exist, an alert dialog is presented. This version allows you to optionally configure the keywords to look for in your email message. This way you can write emails in various languages and still be able to get the attachment alert. I love this feature as so many times I've forgot to attach the file. Not more shame emails telling I'm sorry here is the file.